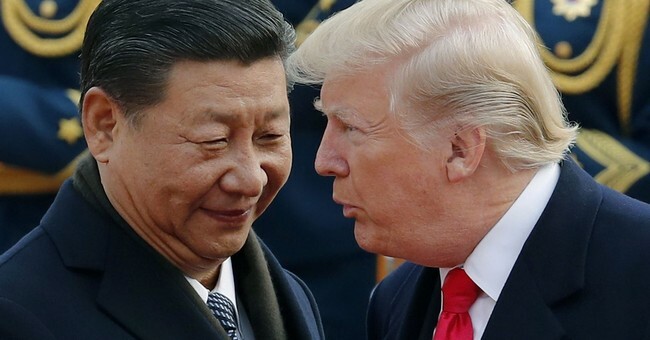 On Thursday, the market popped in midday trading on reports that the White House is considering lifting tariffs on imports from China. Thereafter, the Treasury Dept announced there were no changes, but the rally mostly held up anyway. Apparently, the globalists in the White House now have the ear of President Trump and want him to make an overture that can expedite a resolution. There is even scuttlebutt that Treasury Secretary Mnuchin will use the market’s reaction to drive home how much investors want this issue to be put to bed. It might be smart for Mnuchin to also use a passage from The Art of War and remind President Trump that America is winning and should allow China’s prideful president to save face. Removing tariffs are a modern-day way of building a golden bridge. Don’t mistake my kindness for weakness, I am kind to everyone, but when someone is unkind to me, weak is not what you are going to remember about me. Mr. Mnuchin is suggesting that removing the tariffs would lay the groundwork to extract long-term reforms from China. However, the same report says U.S. Trade Rep Robert Lighthizer believes any concessions would be seen as a sign of weakness. By the same token, Lighthizer might be willing to play along, understanding tariffs will still be at the administration’s disposal if needed. It’s right for investors to remain cautiously optimistic, just as it’s right for investors to believe this issue could be resolved sooner rather than later. I do find it interesting that the same experts warned a deal would never happen; if so, it would take years, perhaps decades, because China has all the time in the world. Those same experts are now wisecracking about President Trump not being such a great negotiator, after all, because it’s been taking too long. The peanut gallery has been rooting against America because they don’t like the person in the White House, or they make so much money from the status quo. From the opening salvo, America was going to win this deal because we are fighting for the right reasons: fairness and protection of our property and citizens. That doesn’t mean the final deal will be put together and signed. However, positive steps will see corresponding actions such as the removal of U.S. tariffs, and China opening their markets to restore their buying power, or in the case of U.S. rice, to make purchases for the very first time. Yesterday, soybeans climbed on the Wall Street Journal story and continue to march toward a significant breakout.China began buying in December and finished the year with its first decline in overall soybean imports since 2011. The fact is Brazil couldn’t meet the demand, so they had to buy from the United States. The same is true with Liquefied Natural Gas (LNG).America has an abundance of LNG and produces it cheaper than any nation on earth, and China needs it desperately. A fair and honest trade deal makes so much sense for China than the naysayers either know or would admit. After the bell, Rio Tinto (RIO) made a bold call on iron ore shipments this year, suggesting that not only will the trade war be over, but China also will find a way to turn its economy around. As for yesterday's session, I continue to be impressed with buyers focusing on the most beaten sectors of 2018, seeking value. Even a name like Sherwin-Williams (SHW) that was hammered on Tuesday after a significant earnings miss has recovered most of the $25.00 drubbing. American Express (AXP) missed and sank like a stone. Ozark Bank (OZK) popped, which could be great news for NYC real estate. Atlassian Corporation (TEAM) crushed it and rocketed higher. There weren’t any moves yesterday, and we are holding cash, but some model idea positions are now urgent buys for subscribers that are populating their portfolios. Please speak with your representative or contact research@wstreet.com. If you are not currently a subscriber to the Hotline, call your rep or click here to get started today.